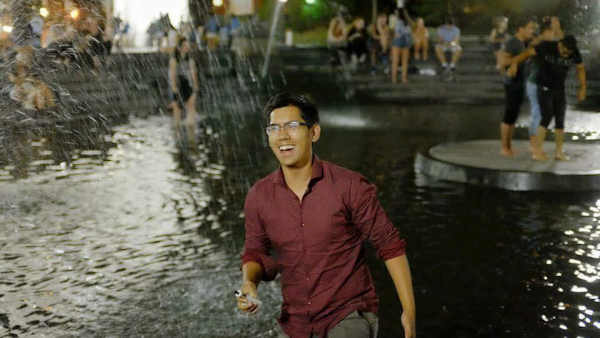 NEW YORK (WABC) -- A Boston University student who went missing while visiting New York City last month has been found. Zachery Camhi, 25, who was diagnosed with bi-polar disorder several years ago, had reportedly been at Bellevue Hospital the entire time. Sources say he was unable to provide his name, and hospital workers had been unable to identify him. Boston University released a statement saying, "We're thrilled to share that NYPD Missing Persons Unit says BU graduate student Zachery Camhi, 25, has been found and is safe in NYC." Camhi had last been seen walking out of the East Side New York Hotel on Lexington Avenue in mid-September. He had reportedly gone missing in the past. He is a music student at Boston University and an accomplished classical double bassist. He and a friend had driven to New York City from Boston to pick up a double bass that had been stored at a friend's house.